Motan Colortronic Limited has launched a new line of EMA fully adaptive smart dryer. 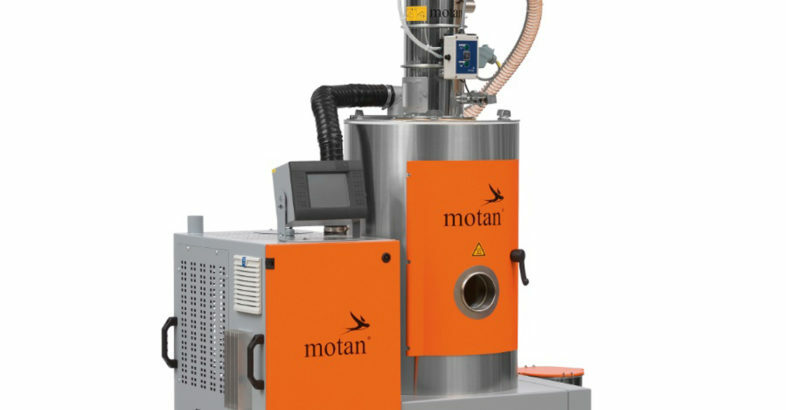 The new mobile single hopper unit builds on the proven ETA Plus technology Motan Colortronic use on central drying systems with multiple hoppers. The EMA dryers are specifically designed to offer consistently low dewpoint air to a drying bin of 60, 100 and 150L whilst reducing energy consumption to a minimum. The dryers are available with fully automatic air flow control, saving further energy and automatically creating an anti-stress system for the material. 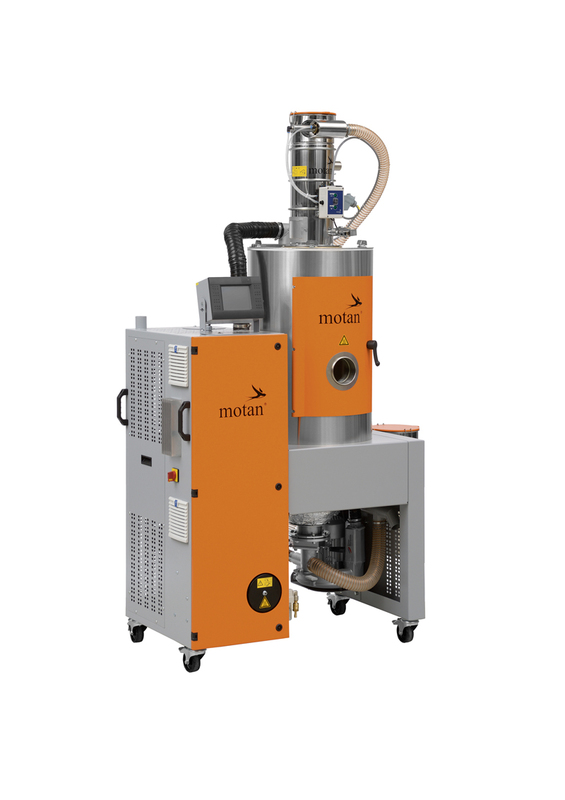 The Motan Colortronic units can be supplied with single conveying units or a mini central system built in to the dryer, ensuring a very flexible unit. The touch screen control is compact and easy to use, whilst the solid state relays and high quality parts ensure optimum reliability. The control can be connected to a Motan Colortronic control report and visunet. The heat insulated drying hopper has a large cleaning opening with sight window so cleaning the hopper is extremely easy and simple, reducing down time to a minimum.